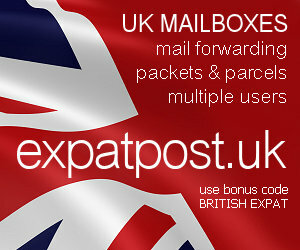 British Expat Forum • View topic - Ow!! Hear about Swiss club Servette's Paolo Diogo? Jumping up to a perimeter fence to celebrate a team-mate's goal, he caught his wedding ring (he'd only been married for a couple of weeks) in the fence - then jumped back down, and both the ring and most of his finger came off. As if that wasn't bad enough, the referee then booked him for excessive celebration. I'm not kidding... here's the Grauniad's article. I've got no sympathy. In other sports you just score a goal and then get on with it. I don't know why football players seem to want to jump all over each other and go mental after a goal. Is it because of the money they make? It sure as heck isn't sporting. In a way, yes. They're professional entertainers, just like wrestlers, etc. They do whatever gets publicity for themselves. Didn't you notice Beckham's increase in publicity stunts after he married Victoria - already an accomplished professional self-image booster? You have to have the skill in your sport, but you need more than that to get rich. Incidentally, shouldn't this board be called Sports Watching? Is there a demand for a board for people who actually practise their chosen sports, or are they an insignificant minority? ruggie wrote: Is there a demand for a board for people who actually practise their chosen sports, or are they an insignificant minority? Ermm... I have a feeling it's the latter, Ruggie I haven't played football in any shape or form for about the last eighteen months. Well, yeah, but the table was cr@p. And the cue I had to use would've made a good boomerang. Gimme a break. Find a decent table and let me use my own cue and I'll soon sort you out. Oh yes, I forgot - they don't allow smoking. I think you should steer well clear of that, we don't want you ending up as 'bangers'.